Poignant, absorbing and thought-provoking... The powerful true story of a child who grew up with a demanding and destructive intruder in her home: her mother's mental illness. 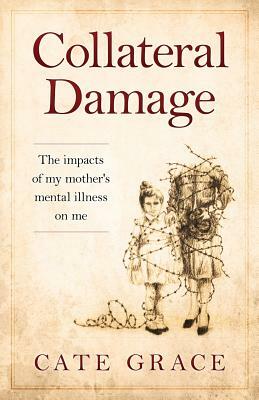 Stunning and mesmerizing, this book is an important MUST-READ for anyone wishing to understand the often devastating effects of parental mental illness on children. Cate uses evocative imagery to transport us to her childhood, allowing us to understand the impacts of her mother's severe mental illness on her. Collateral Damage...a story that needs to be told and re-told in the context of how we support children with a parent with severe mental illness including grown up children. Cate Grace currently divides her time between America's Midwest and Western Australia. She spent fifteen years as a trial lawyer in the United States before moving to Western Australia with her two children in 2004. She has worked in the private sector, the public service and in the non-profit, non-government sector, including public health advocacy.